Are you an aspiring copywriter interested in spending time with the Mower Buffalo Creative team? We know you’re smart, talented and probably a heck of a nice person. But do you have drive, dedication and an undying passion to do great work? In short, can you walk the talk? If so, we’d like to, well, talk to you. But be warned: we get a fair amount of applications, so give us a good idea of who you are and where you want to go. And don’t forget to show us a wicked good portfolio. If you answered yes to the above questions, we may be looking for you. Candidates must be entering junior or senior year of college undergraduate program, or actively enrolled in graduate program. English, Creative Writing, Advertising, Communication and similar majors preferred. Internship is part-time and paid. Typical work week is 16-20 hours for three months. If you think you have what it takes, get your application materials ready! Deadline for summer 2019 semester internships: Friday, April 26, 2019. This opportunity will provide resume-building experience with a nationally recognized agency, as well as offer insight into how agencies operate. Interns will have the opportunity to provide support for a number of the Buffalo Creative team’s top clients, including the WNY Ford Dealers, BlueCross BlueShield of WNY, National Fuel as well as a range of pro-bono clients. From creative concept development and to execution to understanding design/advertising realities, your semester with Mower’s creative team awaits. Please respond by April 26 to be considered for the summer opening. Select applicants will be contacted for an in-person interview at Mower. Minority candidates are encouraged to apply. Mower is an integrated marketing communications agency with specialized expertise in consumer advertising, business-to-business marketing, public relations and public affairs, brand promotion and digital/direct/relationship marketing. 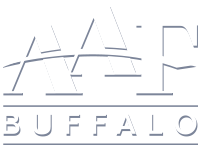 With offices in Buffalo, Rochester, Syracuse, Albany and New York, N.Y.; Boston, M.A. ; Charlotte, N.C.; Cincinnati, O.H., and Atlanta, G.A., Mower serves clients throughout the United States. Mower also serves many of its clients through thenetworkone, the world’s largest independent network of advertising, creative, digital, media and marketing agencies covering 65 countries. Mower belongs to the American Association of Advertising Agencies and IPREX, a worldwide partnership of independent public relations firms. Mower has 200+ professionals agency-wide. Visit www.mower.com for more information.